Raul offers a discount of 50% on their first / introductory lesson! 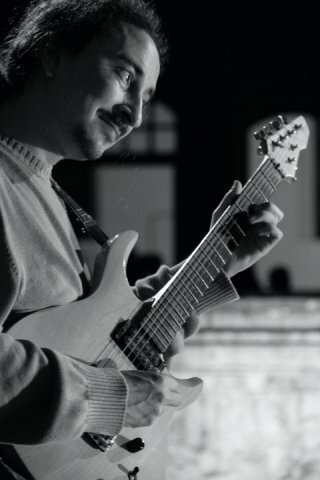 Raul **Removed By Admin**s an experienced and creative jazz guitarist, composer and music tutor. During his career he acquired 15+ years of experience in teaching electric and acoustic guitar as well as ensemble music and jazz harmony to students from all levels and backgrounds. After many years of independent study, Raul attended the B.Mus Jazz Music programme at Conservatorio Stanislao Giacomantonio in Cosenza (Italy) where he had the pleasure to be tutored by musicians of the likes of Lutte Berg, Lucio Ferrara, Davide Santorsola, Micheal Rosen, Bebo Ferra and Roberto Taufic. From 1998 to present, Raul has been performing in a number of different projects. For many of them, he has composed and arranged original compositions. From 1998 to 2003 he performed with Vinagre, an ethno-jazz project which resulted in an album of the same name. In 2004 he lent his talent to the recording session of the Mandara project's album "Alatùl". From 2009 to present, he has been involved in composing, arranging and performing his own original compositions with Amanita Trio, which were later conveyed into "Gente a Sud", a critically acclaimed album which is constantly exploring a synthesis between contemporary jazz and far-away roots. This line-up has performed all over Italy in venues and festivals such as Casa del Jazz (Rome) and Reggio in Jazz (Reggio Calabria). Along his performing career, Raul has also gained experience in composing original music for theatre plays. My name is Raul**Removed By Admin**and I am a jazz guitarist with 15+ years of experience in teaching both children and adults the following subjects: jazz guitar, acoustic guitar, classic guitar, harmony and music theory. I've always welcomed students from all levels, from beginner to advanced. I can provide an updated DBS check on request. During my extensive experience as guitar tutor, all my students have acknowledged my excellent interpersonal skills and the ability to understand the specific needs for each student and to tailor the classes accordingly. I always try my best to make the student enthusiastic about learning music by encouraging them to follow their natural inclinations and pushing their limits whilst having fun. Also, I can provide an updated DBS check on request.